Prune it for a formal landscape or allow it to grow naturally into an attractive, dense mound of soft foliage. Works well as a backdrop for other, more prominent elements of your garden. 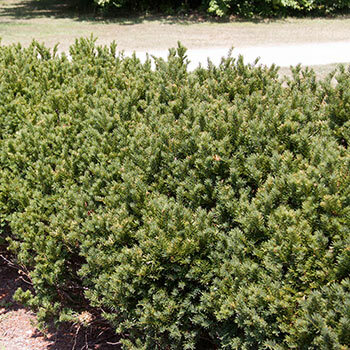 It's evergreen, drought tolerant and easy to grow, so you can count on it year-round. Ideal for landscapes missing some structure. 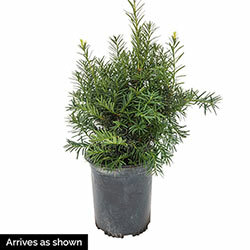 No need to wait until the fall planting season to fill it—Brown's Yew is being shipped now, in a gallon pot.